Tired of yelling song requests at the DJ until you’re hoarse, and then getting shut down anyway? Turns out a lot of people are, so three U-M students are working to empower party-goers and democratize the dancefloor with their app, UpNext. 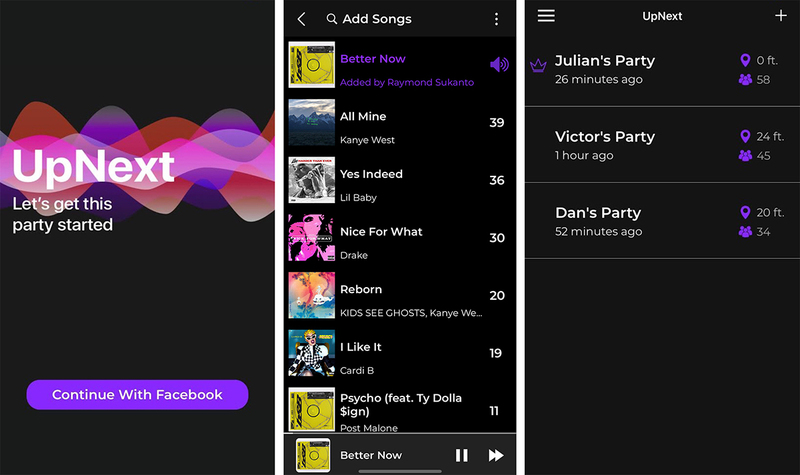 Inspired by a bad frat party playlist, app creator Raymond Sukanto, a CS and BBA student, whipped up the app’s first prototype in Fall 2017 to give anyone in the house or club the power to add songs to the queue and vote on what’s next. 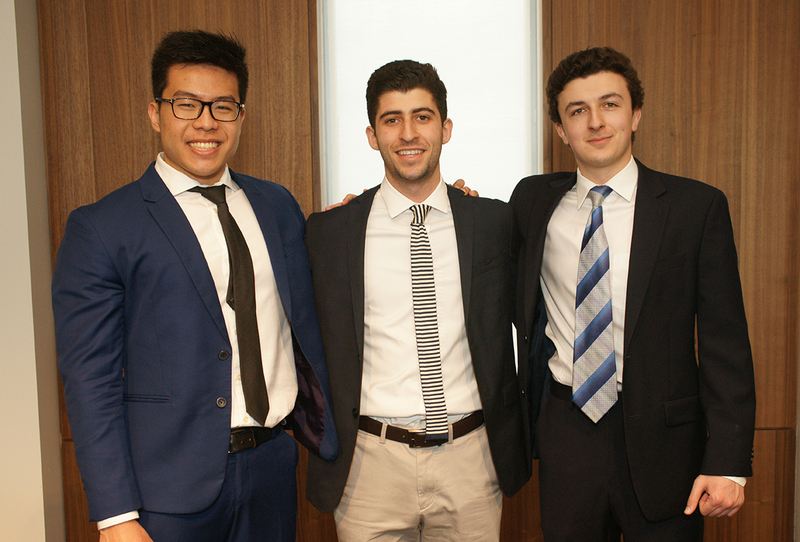 CS student Dan Kaper and BBA student Victor Mahdavi later joined in to help with development and product management, respectively. UpNext syncs to a user’s Spotify account and lets them either search for nearby parties being hosted on the app or host their own. They can kick their own party off with playlists they have saved on Spotify, or search for popular playlists and songs to create a queue from scratch. Other users joining the party then have the power to upvote, downvote, and add tracks to the playlist. The most upvoted tracks will get bumped to the front of the line, making for a crowd-sourced dancefloor set. The ability to see nearby parties on the app also gives users the power to plan out their night and find events, Kaper said in a previous interview with Michigan Daily. The team plans to build on this social functionality and develop it into a key feature of UpNext. They’re also gathering feedback and data from current users to refine the app’s playlist-building tools. Currently, the team is focused on building a user base in Ann Arbor, with some early success. The app has been adopted and used regularly by The Blue Leprechaun and Study Hall Lounge, the latter of which hosted a launch party for the app that drew over 200 people. "It's easy to understand and use and can add a lot of fun to a night out," says Andrew Berry, a bartender at Blue Leprechaun. "People can add songs they love to listen to that might not otherwise get played. And trust me, as a bartender, it's nice to get a little variety." The team also employs product ambassadors that pitch the app to fraternities and sororities. They’re preparing for another major push in the fall when new students arrive and tailgate season starts, and plan to branch out into other college towns once they’ve seen more growth. UpNext is now in the process of incorporating, and Sukanto plans to continue development into the foreseeable future. At over 750 downloads so far, DJs may have a little more competition on the horizon.